I live in the Chicago suburbs, and it’s generally around the end of October that we experience a serious meteorological reality check. Warm, moist air flows northward from the Gulf of Mexico, as if saying, “Ha ha! We’re still sunbathing down here, and playing baseball in short sleeves!” Simultaneously, Arctic winds start to rage out of Canada in Alberta clippers, hissing “This will make you forget summer!” When they slam together just west of our zip code and move eastward, thunder, lightning, sleet, wind, rain, and occasionally snow remind us that, as much fun as we’ve had since April, it’s pretty much over for the next five months. In the northern hemisphere, at least, that’s what the liturgies of November are: a reality check. Like winter and summer (for most of us), the cross and the resurrection are aspects of a single reality: the paschal mystery of God, the way things really are, as revealed in Jesus Christ and the Gospel. It’s good to think about final things. So as the liturgical year plays itself out over the next four weeks, we celebrate Halloween and the feast of All Saints, and, on November 2, All Souls’ Day, to remember the unnamed hundreds of millions who have gone before us, many of whose names are forgotten. We bring them to mind, pray for them, and ask for their prayer as well. The music for All Souls should be music our parishes use most often for funeral liturgies, certainly influenced by paschal repertoire (Easter-themed music) as well. At our parish, the main parish liturgy on All Souls evening is one to which personal invitations are sent to all who lost loved ones during the past year and celebrated the funeral in our parish, so there is a lot of grief still being processed. Music that witnesses to Christian hope and consolation is most important: what we have to contribute to the grieving process is less about memories than promise. Our Gospel is not that remembering the dead will keep them alive; it’s that they are already alive in God, and that we all share in that same life together. God remembers—that is what keeps the dead and the living together in life. One way our parish acknowledges this “community of saints” is by gathering with the John Becker “Litany of the Saints” (BB/MI 727). After each stanza is sung (ending with the refrain, “All you holy men and women, pray for us,” or one of the other final lines) we play an instrumental verse, during which the names of the deceased from our church are read aloud. When the name is read, a candle is lit in the sanctuary for that person by a relative, friend, or one of our bereavement ministers. It takes a while, but it is a significant ritual that helps us gather into the presence of Christ all the saints including the deceased and the community. At all the funerals at my parish, we always sing the alleluia from “O Sons and Daughters” for the Gospel acclamation. This ancient piece from the Easter repertoire immediately calls to mind the whole nexus of resurrection stories, so it makes a perfect Gospel acclamation for All Souls as well as a ritual piece for funerals. This time of year, it’s helpful to reflect on rising now, enlivened by the Gospel, to live as the children of God for the abundant life of the world, making peace, hungry for justice, and joyfully announcing mercy. © 2016 OCP. All rights reserved. 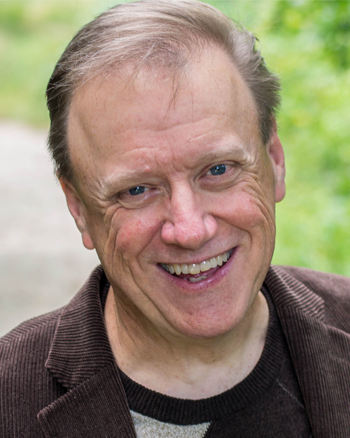 Rory Cooney is an accomplished composer, skilled liturgist and parish music director. His music expresses a deep reverence for the text as well as a lively concern for the practical needs of the parish.